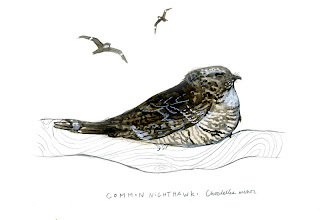 Recently I prepared a couple of study skins of the Common Nighthawk, a bird I like very much. Along with the arrival of Chimney Swifts, they are my summer signifiers. They have very delicate skin, and so the first specimen I did wasn't so great. The second one, which I did last week went much better. In the Chicago area on a warm summer night, you will hear its raspy "peeeent!" call as it forages for insects high above. It looks like a swallow or Chimney Swift on steroids, more than a hawk. 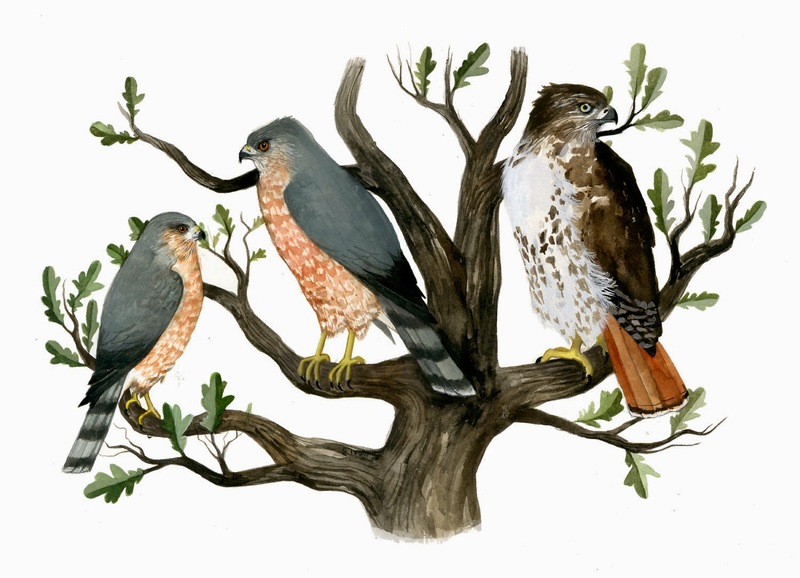 In fact it is not related to hawks at all, but belongs to the nightjar family which includes whippoorwills. Their vocalizations are pretty conspicuous, along with the strong white bars on the ends of their wings. They favor flat surfaces for nesting, such as fields, rocky outcrops, or gravel rooftops. They don't make a next and lay directly onto the surface of their chosen area. You will only see them here in the summer months, after which they migrate far south to east of the Andes. aw, it's so perty! Long ago I fostered a baby nighthawk who had fallen from her nest. I called her "Twee" and handfed her mealworms one by wiggly one, and when she was mature set her free in a local park where her kind were known to gather at dusk and feed on the wing. She perched on the tips of my fingers until she gained courage and took flight. Such a lovely sight. thanks for sharing that! I'm so jealous. i love nighthawks, and glad that one was cared for so thoroughly.